This week only: enjoy a free side salad when you order the falafel sandwich. This Mediterranean inspired sandwich will be sure to delight your taste buds and fuel your body with the nutrition it needs. Falafel, made with chickpeas, is packed with protein, low in fat, and high in fiber. Protein is important in cell growth and functioning and helps build muscle and keep them healthy. In addition to being a great source of protein, falafel has very little fat and no saturated fat. Falafel, high in fiber, is also great for your digestive system. Both delicious and nutritious, eat up and enjoy! You may have heard spinach be referred to as a “superfood.” But, like many, you might wonder “What does that actually mean? Why is it so good for me?” A superfood is one that is full of nutrients and supports overall health. And boy is this leafy green packed with goodness. There are tons of reasons why you should be eating spinach but we’ll stick with five for now. Spinach is good for your bones. It is rich in Vitamin K which strengthens bone mass. Eating spinach keeps you healthy. Packed with Vitamin C, it boosts your immune system so it can fight off diseases. Studies indicate that spinach helps prevent against prostate and colon cancers. Spinach has flavonoids which have anticancer properties that decrease your risk for cancer. Spinach is mineral rich—potassium, magnesium, manganese, copper, and zinc are all found in spinach. Minerals are very important to our bodies. For example, potassium is essential in controlling blood pressure and heart rate and copper helps with red blood cell count. Spinach is full of antioxidants. These protect against aging and some diseases. At Eternity Juice Bar we try to make healthy food quick and accessible to you. That’s why we have “grab and go” lunch packs made fresh daily. We have lots of wraps and sandwiches available and decided to start featuring a “dish of the day.” Yesterday it was Carrot Supreme. So what are the health benefits of carrots? One, carrots are full of Vitamin A, which helps with vision. Two, carrots are an antioxidant-rich food, which studies indicate can prevent some cancers and cardiovascular disease. Three, working in combination, Vitamin A and antioxidants help protect your skin from sun damage. 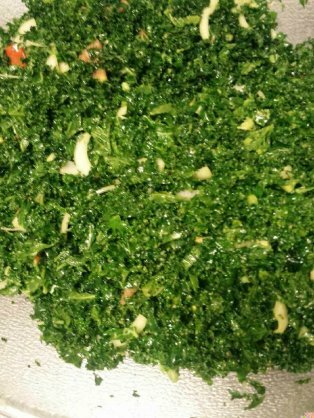 Today’s dish of the day is kale salad with tomatoes, onions, and spices. Check out a previous blogpost on all of the benefits of kale. Your health is your wealth. Fuel your body, feed your soul. When cooked right, tofu is quite delicious (as evidenced by our Jerkfu Wrap pictured above). In addition, tofu is also really good for you! Derived from soybeans, tofu serves as a great meat-substitute for those that want plant-based protein. Tofu is also full of important minerals like iron and calcium. In fact, tofu has been found to overall be good for your health. Tofu has proven to lower cholesterol and improve cardiovascular well-being, which decreases your risk for stroke and heart disease. Rich in iron (and selenium), tofu helps keep your energy level up. High in calcium, tofu ensures stronger and healthier bones and lowers your risk for osteoporosis. In addition, the isoflavones in tofu help prevent certain cancers. For people considering going vegan, stocking a pantry can be a daunting task. So here’s a little cheat sheet guide (although by no means an exhaustive list) to get you started. Grains. Pasta, oats, barley, couscous are all good staples for vegan cooking. Beans and Legumes. Quinoa, a variety of beans, chickpeas, tofu, and various lentils are good things to have on hand. Nuts, seeds, and dried fruit. Sweeteners. Raw and organic sugar, vegan chocolate, cocoa powder, and agave are great health conscious sweeteners. Dairy substitutes. Get almond, soy, and/or coconut milk. Also almond butter, veggie butter, veggie shortening, and egg replacer are critical in cooking and baking vegan dishes. SPICES. Flavor is the secret to making tasty food (vegan or otherwise). Vital wheat gluten. You’ll need this if you’re interested in making seitan from scratch to have that meat substitute. Fruits and veggies. Get whatever kinds you enjoy to snack on and use for meals. Contrary to popular misconception, being a vegan isn’t just about consuming salads. It means eating full, balanced, plant-based and animal-free meals. When done right, meat substitutes (such as seitan) can satisfy even the omnivores among us. Original Soul Vegetarian has been lauded by the Chicagoist and Windy City Live for being one of the best vegetarian/vegan restaurants here in Chicago. We have also been named “Best Soul Food” by the Chicago Reader for three years running. Being a vegan soul food restaurant, we don’t shy away from the barbecue. We cook up some seitan and serve up delicious sandwiches such as the Down South BBQ Twist pictured below. So what is this thing called seitan? And what is the difference between that and meat? Seitan is a plant-based protein derived from wheat gluten. Meat is a protein that comes from animals. Calorie-wise, seitan is similar to lean meats. It also provides about the same amount of protein as lean meat. However, unlike meat, seitan is not a “complete” protein because it doesn’t have all of the necessary amino acids. Soy beans are one of the only “complete proteins” that are vegan. So finish off your meal with our soy ice cream and know that you are nourishing your body and your soul. Berries. Berries are full of vitamin C, which has been shown to decrease stress levels. Avocados. Avocados have lots vitamin B, which lowers stress, and potassium, which reduces blood pressure leaving you overall less anxious. Cashews. Cashews are a great source of zinc, which is inversely correlated to depression and anxiety. Chamomile tea. Studies indicate that chamomile tea has calming properties and promotes sleep. Garlic. Garlic is full of antioxidants and boosts the immune system (which gets compromised by stress). Oatmeal. Oatmeal actually gets your brain to produce the feel-good chemical serotonin. Oranges. Like berries, oranges are full of vitamin C and eating them you can reap all the same benefits but with a different taste. Bananas. Bananas also get your brain to create serotonin, which calms you and boosts your mood. Dark chocolate. In moderation, dark chocolate (the vegan kind) lowers blood pressure and improves mood. Walnuts. Walnuts are full of omega-3 fatty acid (so you don’t need to eat fish to get it!) which helps prevent memory loss and has been shown to help depression. Your health is your wealth. Fuel your body with food that soothes you. 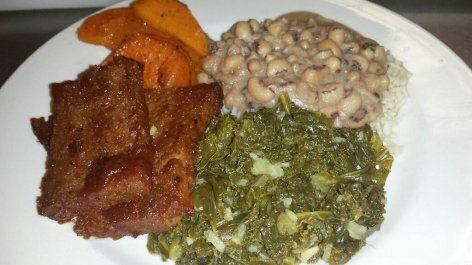 Original Soul Vegetarian has been serving vegan soul food for over 30 years and has been named “Best Soul Food” by Chicago Reader’s Poll for the last three. Original Soul Vegetarian takes all the flavor and concepts from soul food cooking with an added vegan twist to make for the tastiest and healthiest soul food in Chicago. Cooked greens have long been a staple side in soul food cooking. 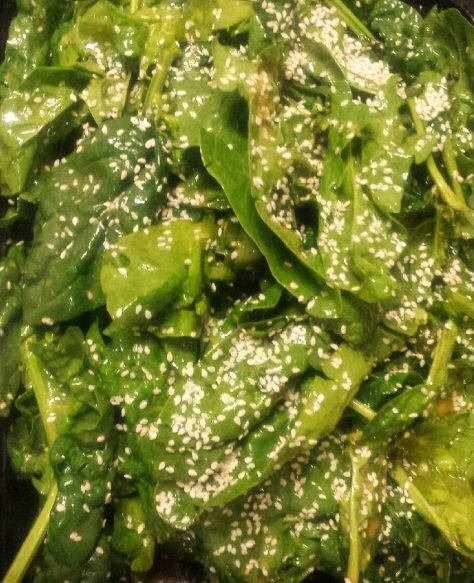 Here, at Original Soul Vegetarian, you’ll find that we use a lot of kale in our dishes. This is partly because kale is delicious. And partly because of all of the health benefits you get from eating kale. At Original Soul Vegetarian we live by the motto that “your health is your wealth” and we make sure to serve food that is not only tasty but healthy too. So that’s why kale greens are frequently part of our dinner specials. Kale can lower cholesterol and is great for your cardiovascular health. Kale is a good detox food. Fiber and sulfur both detoxify your body and keep your liver healthy. Kale is high in vitamins A, C, and K. Vitamin A helps with vision, Vitamin C is good for your immune system, and Vitamin K protects against cancers and is important in maintaining bone health. Kale has anti-inflammatory properties and is filled with antioxidants. Kale is high in calcium and iron. Calcium is essential in maintaining metabolism and decreasing the chances of bone loss and osteoporosis. Iron is important in transporting oxygen throughout the body.